We have hand picked each item in the CarPro Advanced Protection Kit because they are highly effective when paired together. To create the best kit possible we utilize our years of detailing experience, combined with input from some of the best detailers around the country. We are confident you will get outstanding results with each item and really enjoy how your vehicle looks afterward. Save $20.95 off of the retail price of individually purchasing these items! 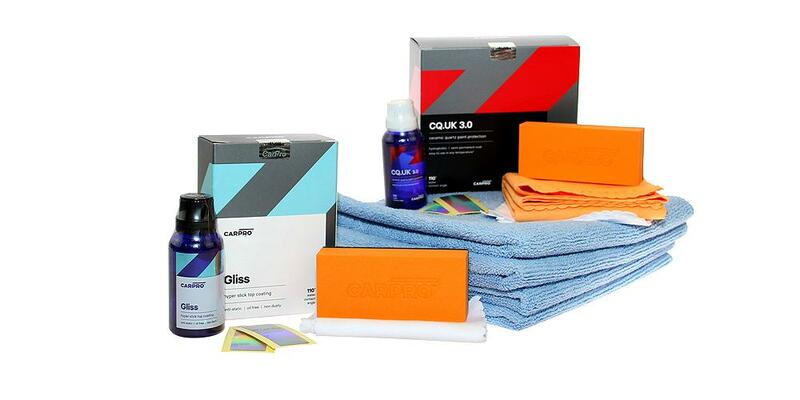 CarPro Cquartz UK 3.0 (30 ml) - cquartz paint protection lasts years not months! CarPro Gliss v2 (30 ml) - hyper-smooth ceramic nano coating protects for 12+ months! Would definitely buy again. I think this is the best price I have found for the UK3.0/ Gliss combo in a package. I won't go anywhere else. Customer service is great. Products and prices are the best I have seen.